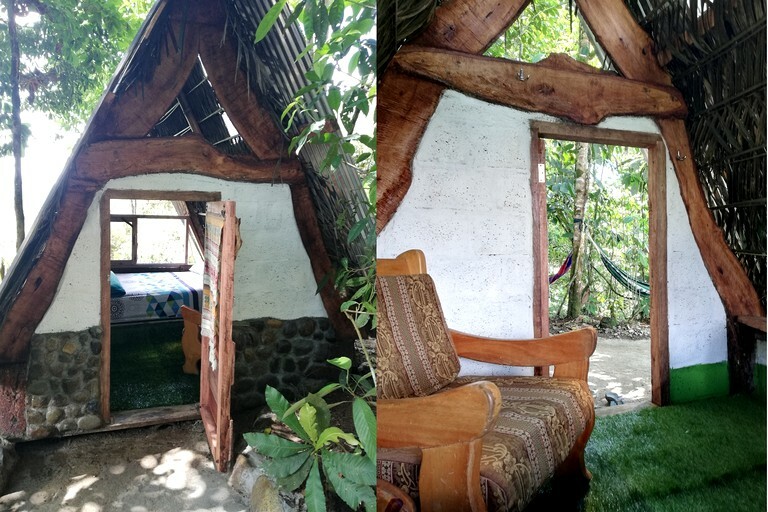 This simple, A-frame cabin rental with incredible mountain views is located in Tena, Ecuador, and can accommodate two guests with a cozy full-size bed. 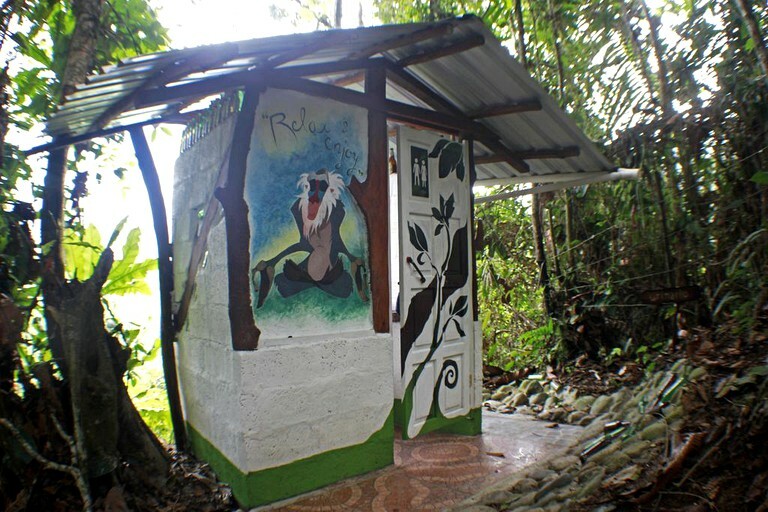 Guests who reside here will have access to a shared bathroom that includes all of the essentials, such as a shower, a sink, and a toilet. Linens and towels are provided by the lovely host. Glampers will awake every day with a smile on their face as the sun’s rays gently warm them through the large window. It lets in plenty of natural light and presents an unbeatable view of the natural surrounding beauty. When hunger strikes, guests can mosey over to the shared kitchen to whip up a delicious meal, which features a refrigerator, a stove, and a coffeemaker. A delicious breakfast, unlimited purified water, coffee, and tea are all included in the daily rate. With all of the wonderful facilities offered, guests will have everything they need and more to have a comfortable stay. Guests can fire up the barbecue and mosey over to the picnic area for an incredible outdoor dining experience. Later, they can gather around the toasty fire pit, as they gaze at the twinkling stars above. 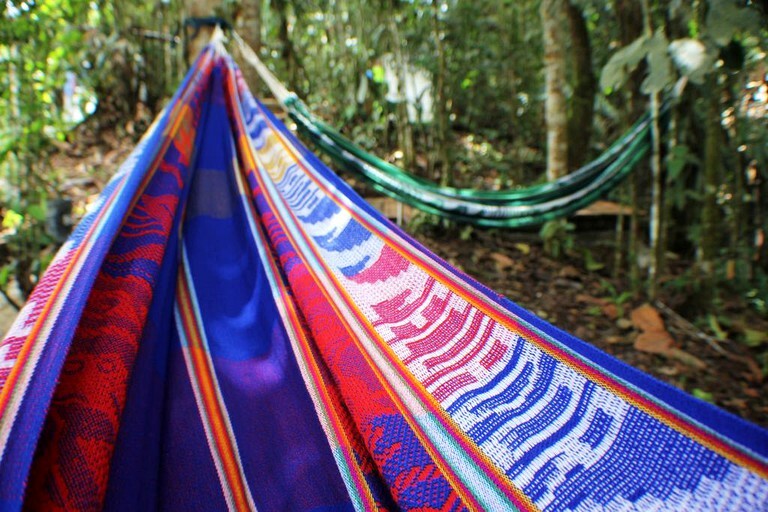 Hammocks provide ultimate relaxation, and glampers’ troubles will simply melt away, as they are gently swayed by a breeze while being serenaded by the calming sound of wildlife. A wide selection of puzzles, board games, and books will keep guests entertained for hours when the clouds roll in. Moreover, the property features on-site parking. A laundry service is available for a fee. Dinner or lunch to take away are available for extra charge. This property’s sublime location amid nature makes it abundant in entertaining outdoor activities. 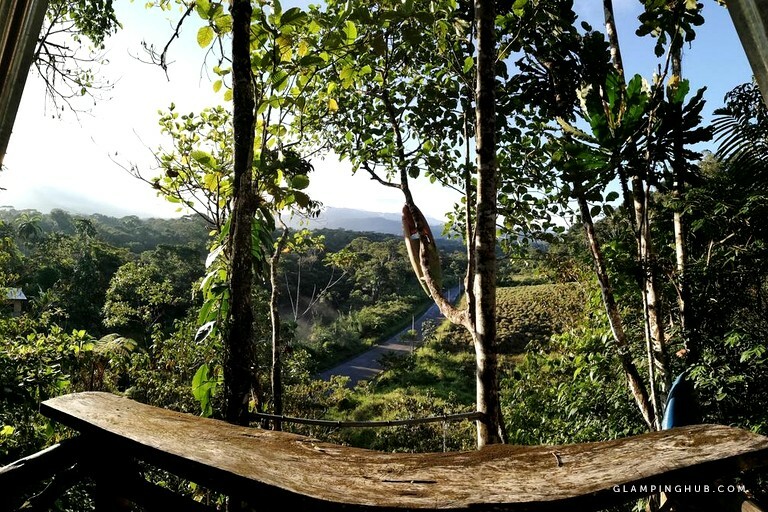 In the extensive forest surrounding the property, guests can set off on a scenic walking path to observe the local flora and fauna in their natural habitats. 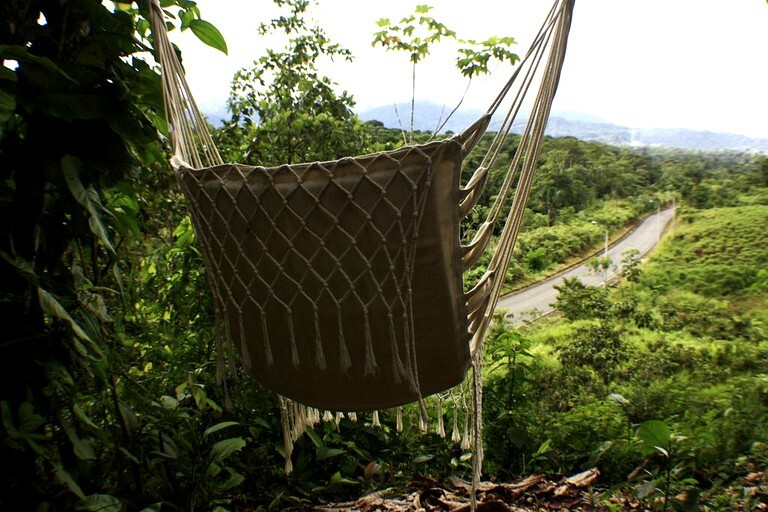 Hiking enthusiasts will be rewarded with stunning panoramic views of the natural surrounding beauty after ascending a trail. Moreover, cycling buffs can discover the zone at fast speeds. 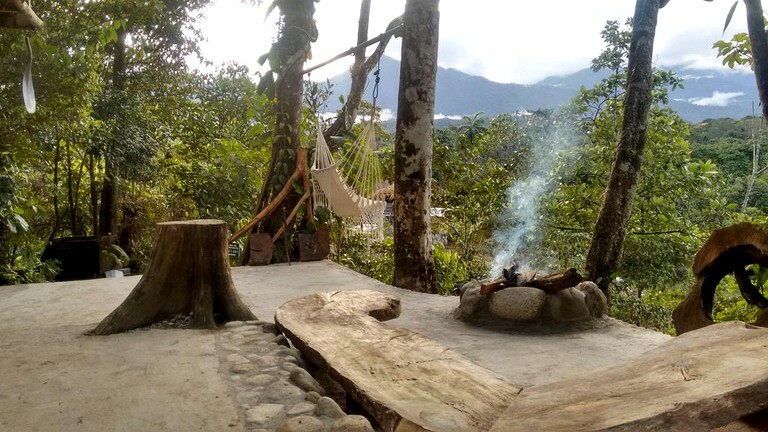 For relief on a balmy afternoon, glampers can spend the day at Laguna Azul, which is conveniently located just around the corner. A refreshing swim will do just the trick to cool guests down. Kayaking along Jatunyacu River is another option for glampers, and those who prefer to get their adrenaline pumping can go rafting for a thrilling and unforgettable experience. Furthermore, a visit to Pimpilaya Waterfalls should be on every glamper’s checklist. Here, they can witness a stunning backdrop created by impressive cascading water. 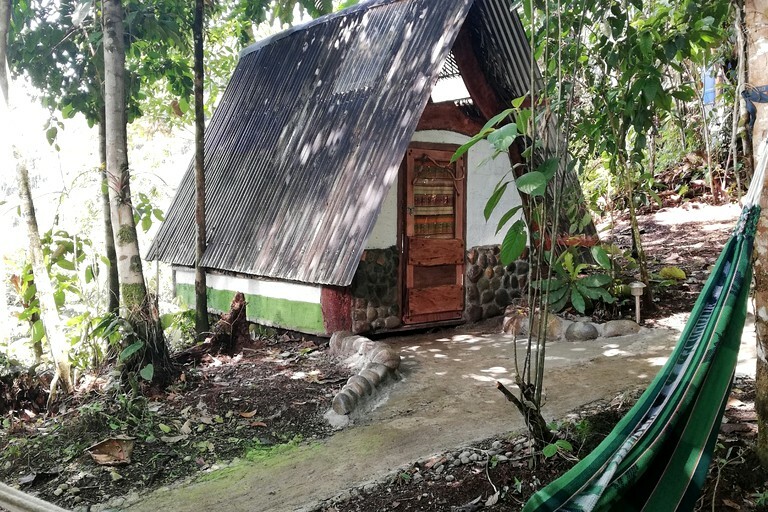 For a change of scenery, glampers can explore the vast Sumaco Galeras National Park, which is home to a wealth of native wildlife and nearly 300 species of birds. Quiet hours are between 11 p.m. and 7 p.m.